Two Yakuza games!? Well yes as Sega followed up Kiwami with an E3 2017 trailer for Yakuza 6: The Song of Life! Kazuma Kiryu, the Dragon of Dojima (and the main protagonist of SEGA's long running Yakuza franchise) will find out exactly how much people are willing to sacrifice for family - be those ties through blood or bond - when Yakuza 6: The Song of Life releases in the West. 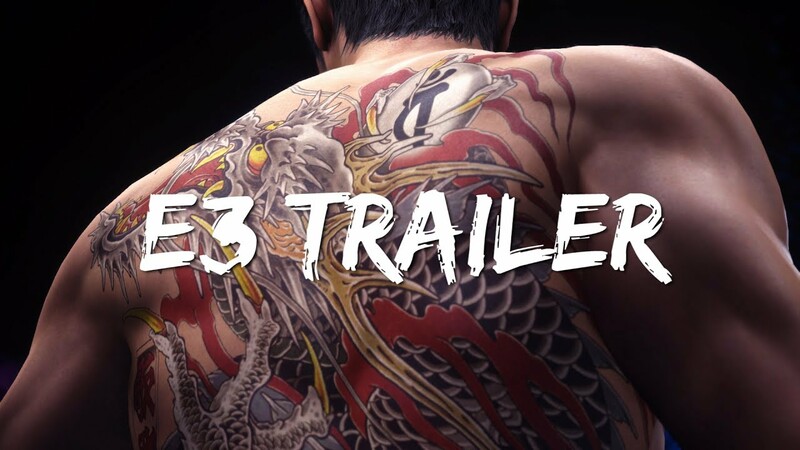 The game is coming to consoles only on PlayStation 4, and thanks to the new "Dragon Engine," is the most advanced Yakuza title to date. From the unparalleled realism of the new setting of Onomichi, a beautiful, sleepy port town in Hiroshima Prefecture, to the latest evolution of Kamurocho, the biggest red-light district in Tokyo, Yakuza 6 is the ultimate iteration the game's blend of gritty crime story, hyper-explosive combat, and all the vices and distractions those locales have to offer.